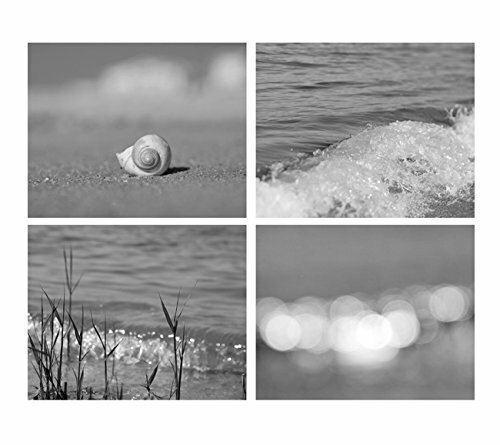 Fine art beach photography set in black and white: seashell, ocean wave, beach grass and beach light abstract. Beautiful set for your bathroom, living room, bedroom or nursery wall art decor. Please keep in mind that every computer monitor displays colors a bit differently, so what you see on the screen might vary a little bit from the prints you receive. My studio monitors are professionally calibrated, and coordinated with my labs on a weekly basis to ensure the best possible results.